Help your child learn skills of a lifetime! Does your child have irritability, temper and impulsive acting out and then denies responsibility for inappropriate behavior? Discipline only goes so far with an easily-frustrated child. Angry children need to learn social skills and you can teach them! Teach your youngsters how to manage stress, regulate their emotions, resolve conflicts and control impulsive behavior. Included in this book are the needed skills to deal with feelings of frustration, irritability, entitlement, impulsivity and acting out along with one-hundred activities with dialogue so you know just what to say. Children gain a boost in self-esteem when they learn new skills that will serve them their whole life. 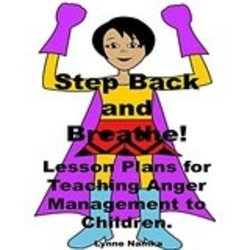 These lesson plans teach mastery of feelings and help create kindness in your family or class. Included are posters, charts and links to videos to help your children learn how to understand and express their anger in safe ways! Yes, you can help your children become masters of their feelings!